How I Gained It: When I was a teenager, my weight fluctuated between 180 and 190 pounds while I alternated between starving myself and binging. As a child I was always thin but I would overeat and not gain any weight. I ate just because — whether I was sad, happy, angry, stressed or bored. By the time I was 20, I was married and had a daughter. 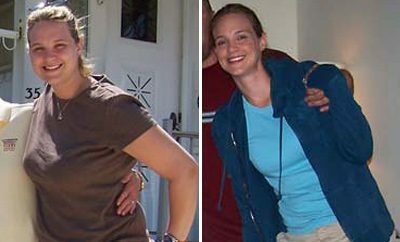 My weight had soared to 300 pounds during my pregnancy and remained there until March 2002. After I had my daughter, I began exercising regularly; little did I know that my passion for fitness would begin even though I couldn’t get my emotional/compulsive eating under control. Exercise became a form of therapy and I immediately started to feel better. I tried dieting excessively and used diet pills off and on for years. Nothing worked. I would lose weight, get comfortable and revert back to my old eating habits and essentially the weight would come back again, virtually overnight. I could not understand what was happening to me. I was not able to make the connection that I was eating excessively. I was completely oblivious to the fact that I was dealing with life by stuffing myself with food. I eventually ended up going to counseling and the therapist helped me to identify the reasons that I was overweight and eating excessively, but I still refused to do anything about my weight. I continued to exercise, but chose to remain clueless about my eating because it was easier for me to continue living with the way things were rather than to make an effort to change my life circumstances. RELATED: Before And After: Sabrina Loses140 Pounds By Changing Her Lifestyle! I was overweight, depressed and gave up every time life pushed me. I stopped dreaming and had no guts. I felt that if I tried to do all the right things in life (be a good person, mother, wife, friend, employee, etc. ), I’d be safe and have a lot of friends who’d really like me and a family that loved me. But the truth is, I let life beat me into submission. Deep down inside I was terrified of taking risks. I really wanted to be successful with losing weight and keeping it off, but my fear of failing was greater than the joy of succeeding. Breaking Point: A light bulb went off in my head in March 2002. I got tired of being sick and tired. I realized that I had been lying to my daughter about self care and pursuing goals. I truly expected her to do everything she wanted to and to accomplish her goals, but I wasn’t being a positive role model for her. I immediately tossed out my scale and did some soul searching about the reasons that led to my uncontrollable eating. How I Lost It: I didn’t change what I was eating, but I cut back on the amount of food I ate. 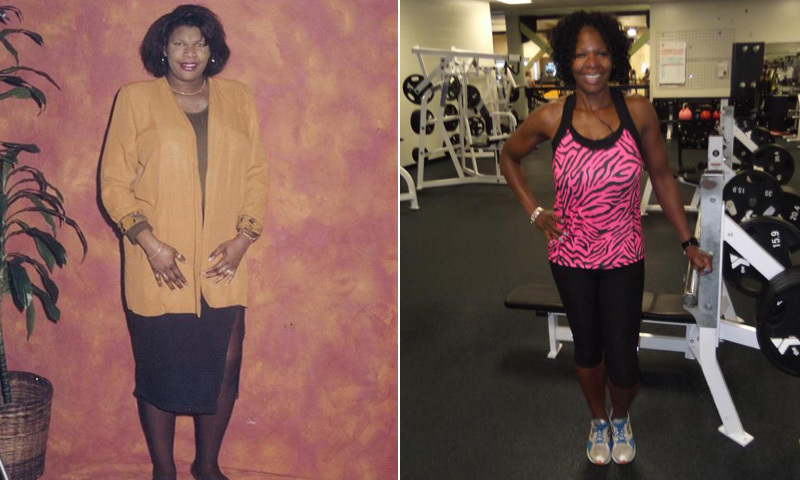 I scaled back on dining out and eventually lost 100 pounds in 18 months. RELATED: Combined we've lost 313 pounds in 22 months. I initially started running to torch calories and lose weight, but it turned out to be so much more. Running has built my confidence, self-esteem and discipline. And running in races has changed my life in a magical way — I discovered a part of me that I didn’t know existed! I started racing in 2004. It was like I was cleaning my slate and starting all over and becoming a true athlete. Although I questioned myself a lot in the beginning — because I wasn’t really sure if I could do it — it truly got easier. The first race was a stunning, emotional experience that I still carry with me to this day. And with each additional race I sealed the deal; I’m a runner and an athlete. 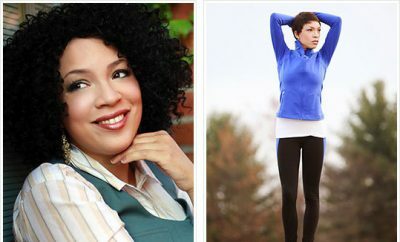 In 2006, I became an ISSA Certified Personal Trainer, and in 2007 established Sporty Diva to reach folks with my personal story and to help motivate people to pursue a healthier and active lifestyle. I am completely on fire for running and fitness, because even though we are each on our own journey and responsible for our own health and well-being, we are all in this life together. With fitness, we have the power to change our lives and the lives of others. You are an inspiration!!!! Love it! !